Orange and T-Mobile in the UK are set to merge, creating the country's largest mobile network. As we reported yesterday, the parent companies Deutsche Telekom and France Telecom were tipped to be in talks, and have now entered a period of exclusive negotiations, with a deal expected to be complete by the end of October. The new plan will see between £600 million and £800 million pumped into the joint venture between 2010 and 2014 for transitional costs, but it's expected the new 50:50 partnership will realise savings on capital expenditure for the two networks of £620 million, with £100 million a year thereafter. The merger will create the UK's largest mobile network, with a 37 per cent subscriber base, dwarfing O2's 27 per cent, Vodafone's 25 per cent, and making 3's share of eight per cent look very small indeed. The new partnership will be worth around £3.5 billion, with both parent companies contributing their UK networks to the deal. 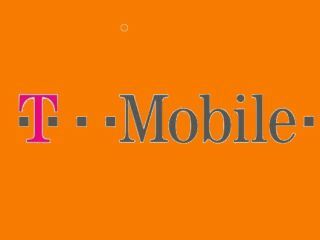 Deutsche Telekom will give T-Mobile debt free, whereas Orange will come with £1.25 billion of debt, in order to equalise the value of the networks for the deal. For the consumer, this likely means not only more competitive pricing as the new network will be able to compete heavily with O2 and Vodafone, but a much improved broadband offering, with Orange's well-established fixed line offering and T-Mobile a market leader in the mobile version. It is anticipated 90 per cent of the free cash flow will be split between the two shareholders, and Deutsche Telekom can now write down less of the value of T-Mobile UK after getting more from the network than if it was just sold.